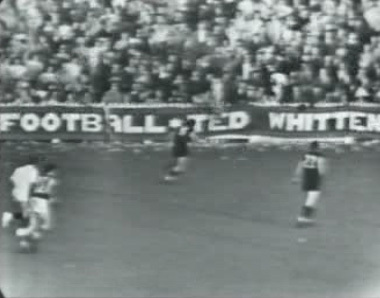 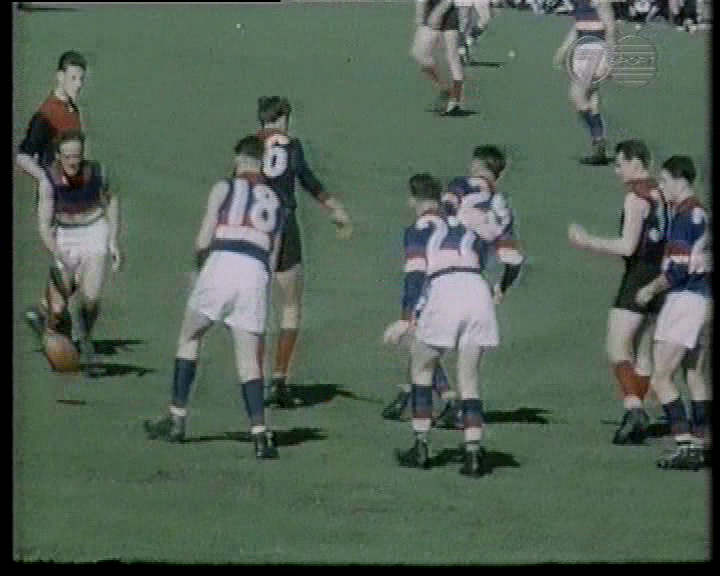 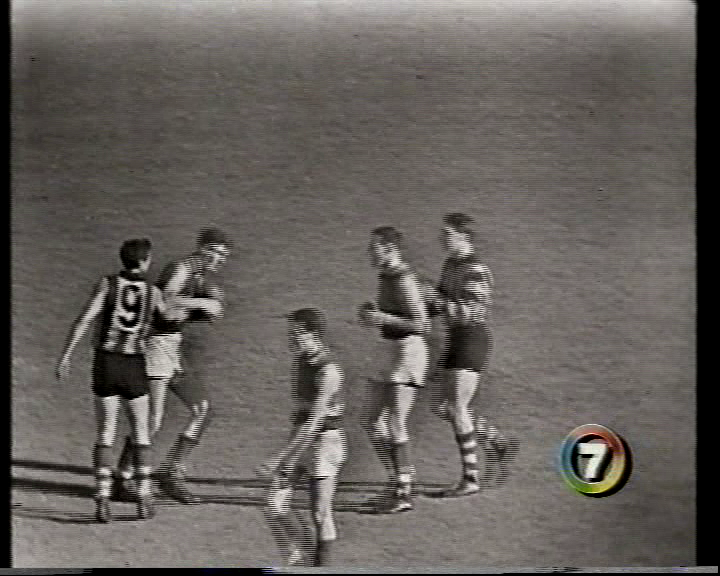 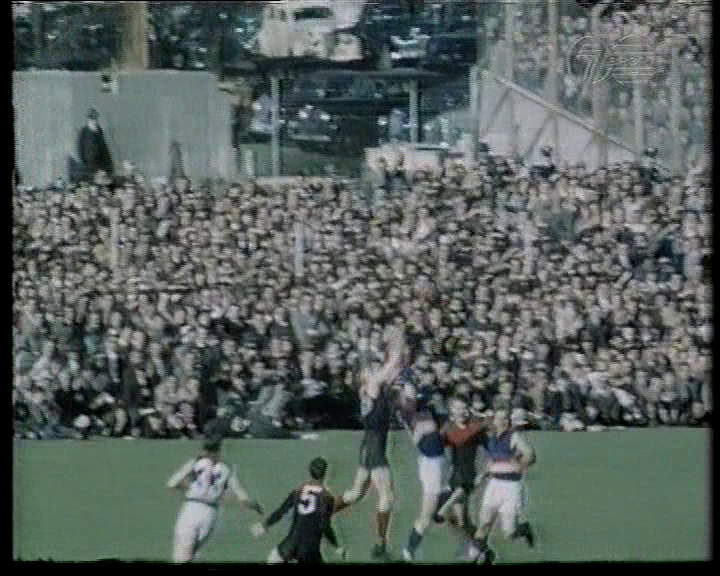 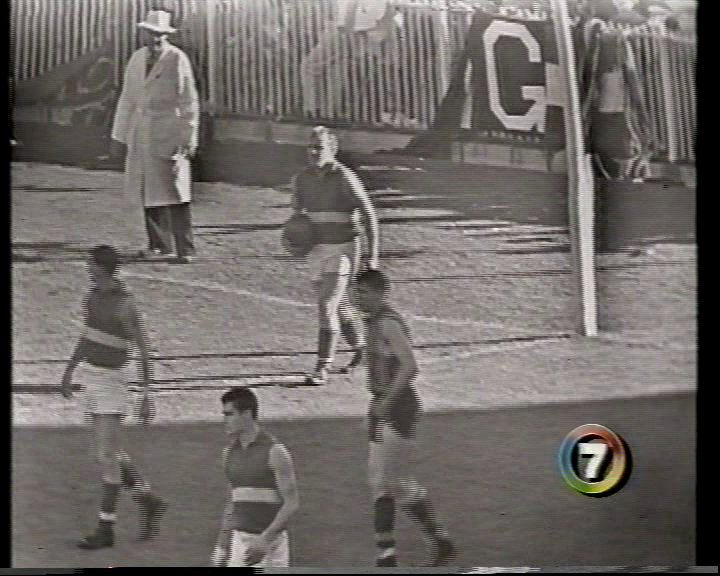 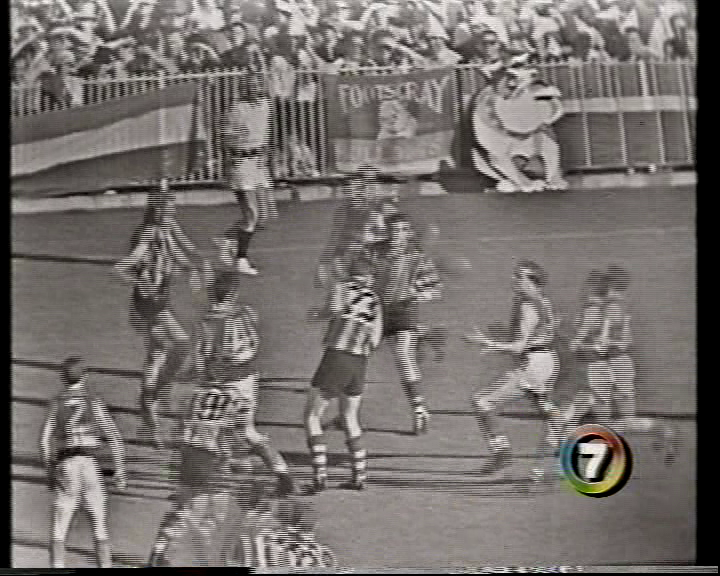 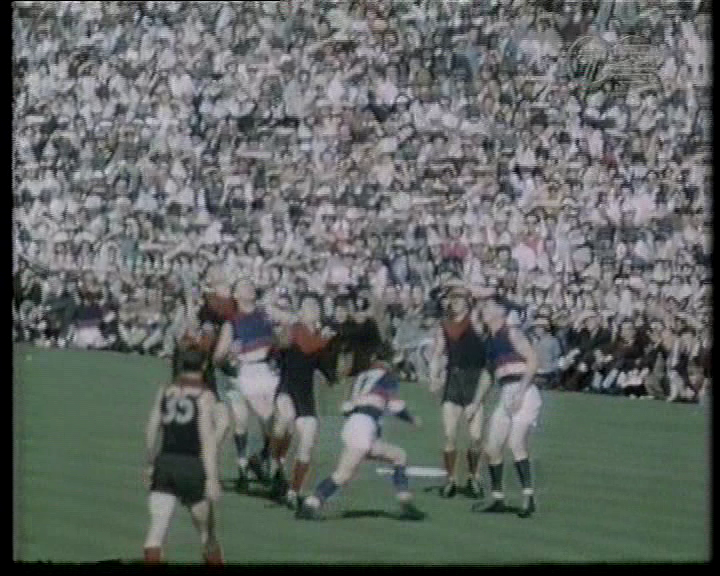 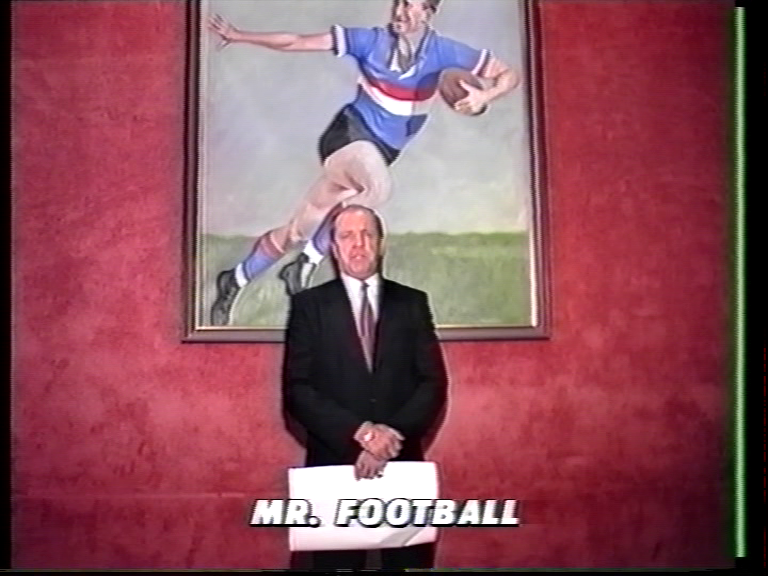 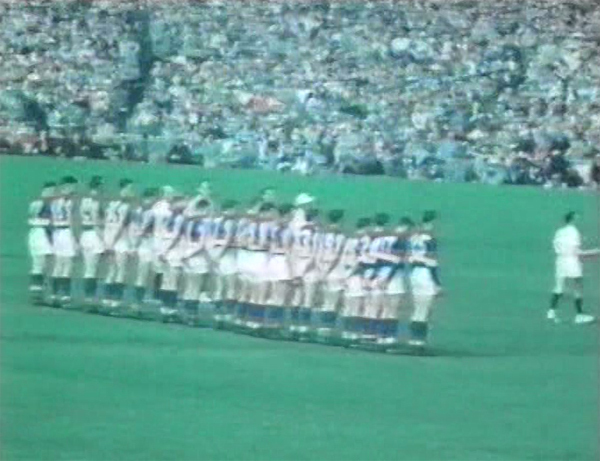 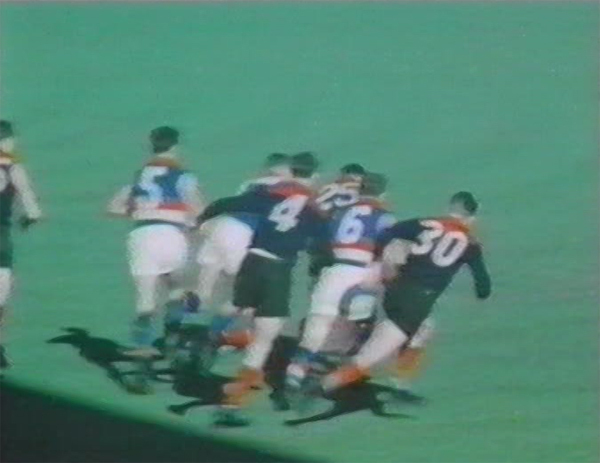 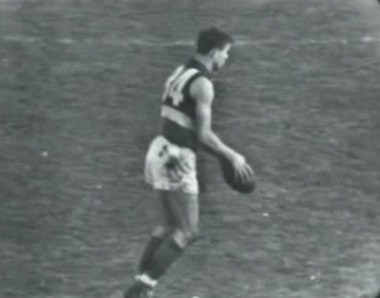 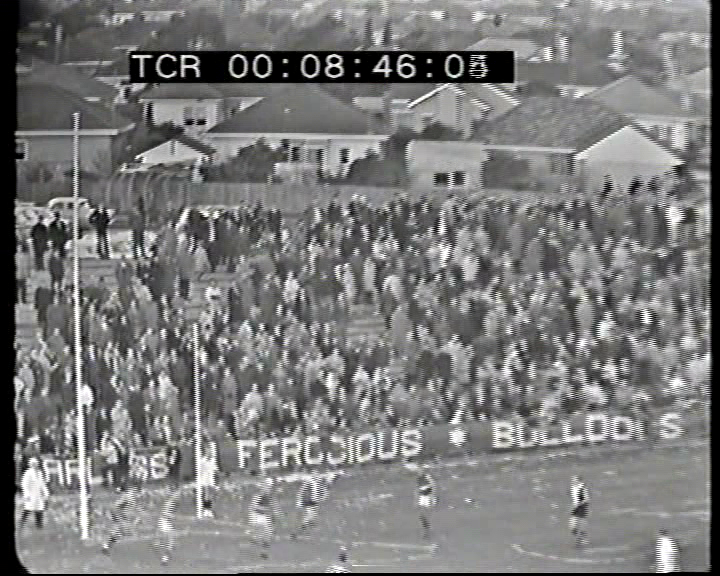 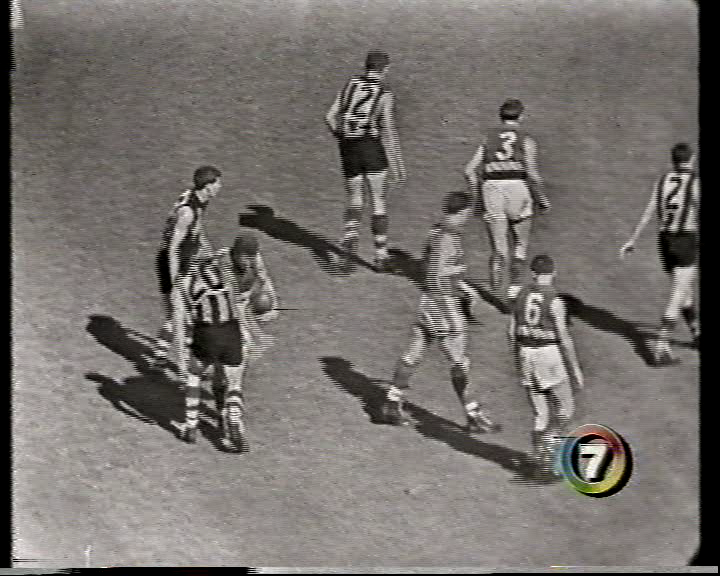 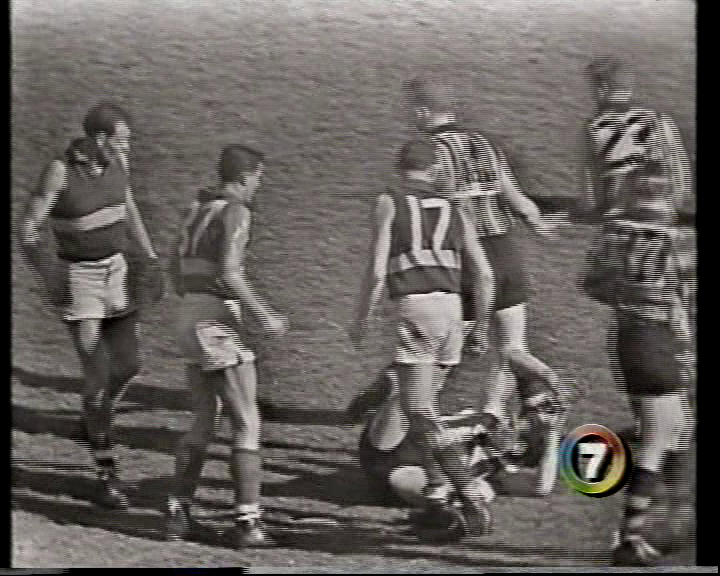 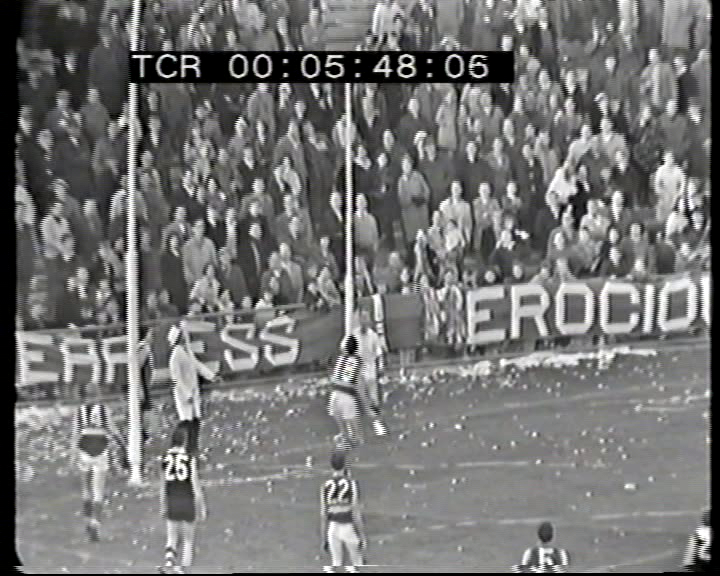 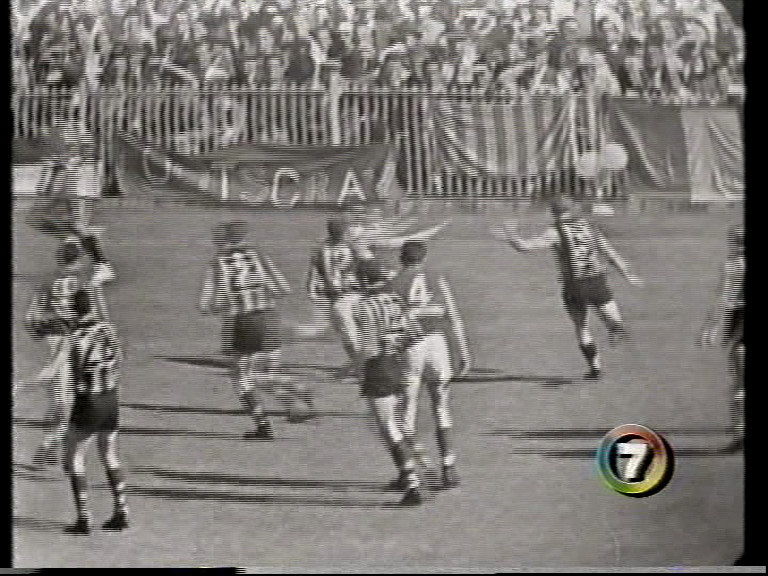 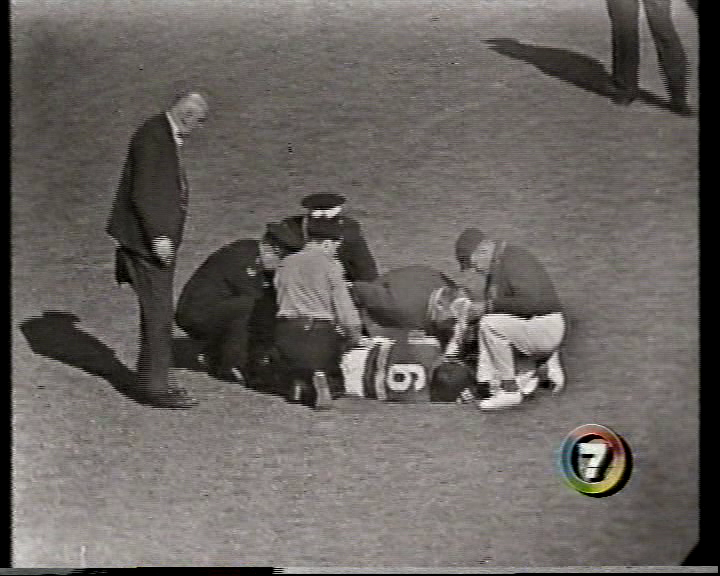 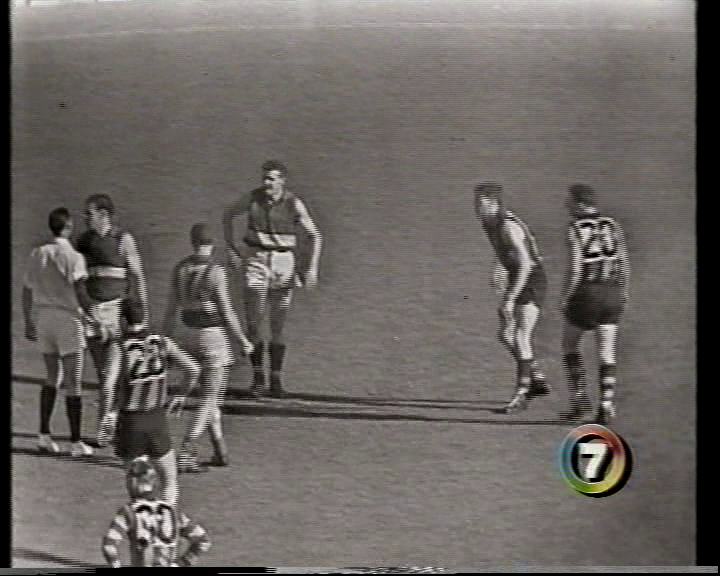 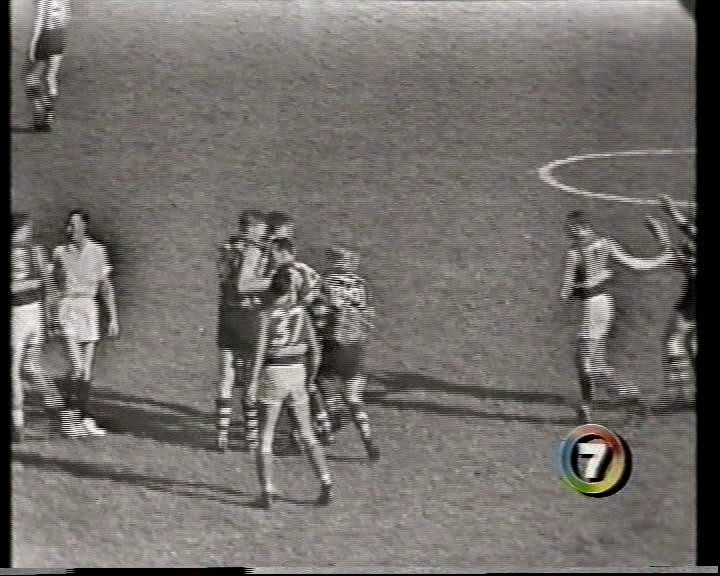 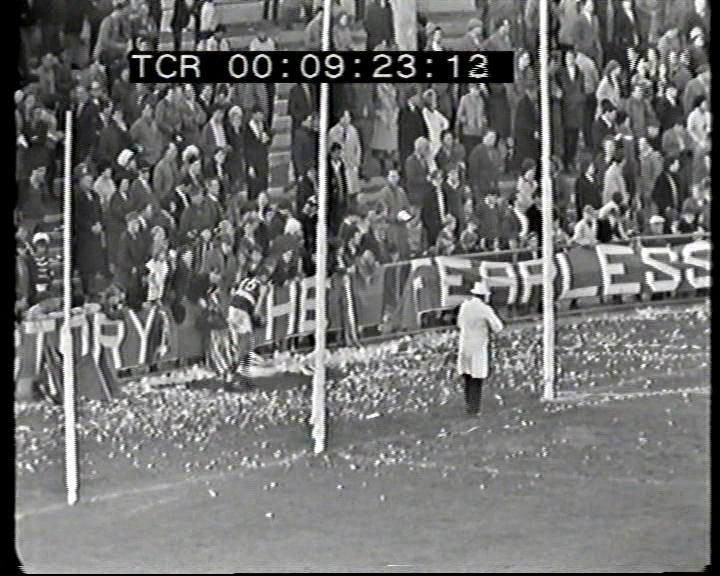 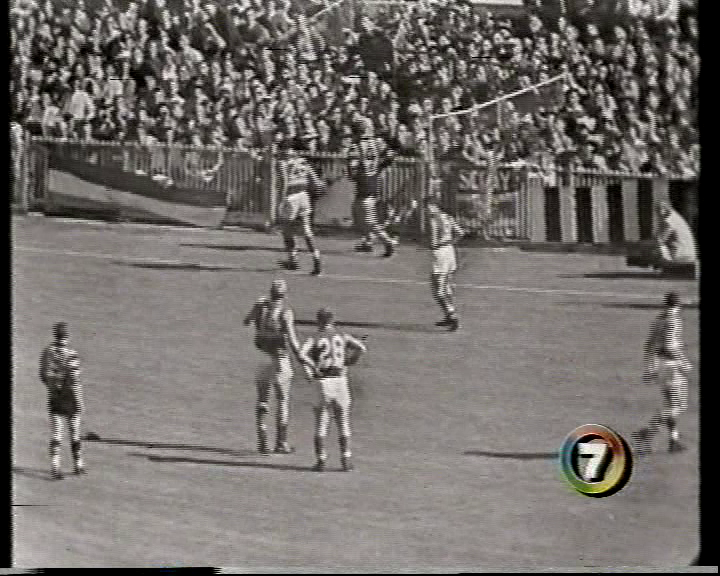 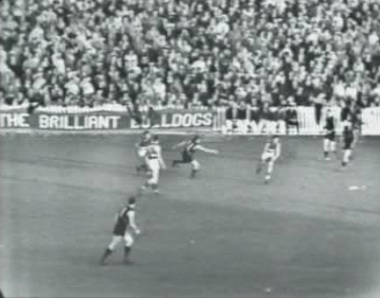 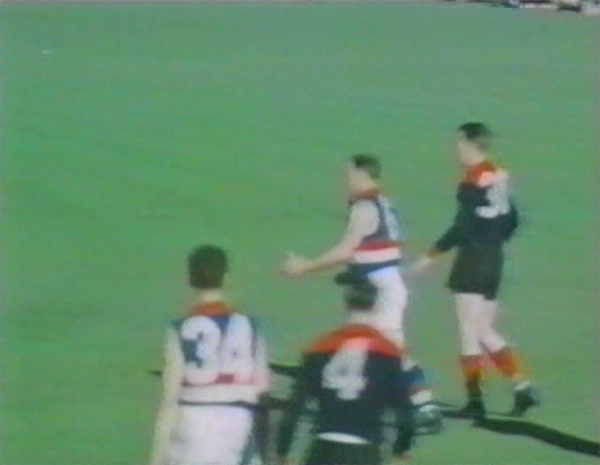 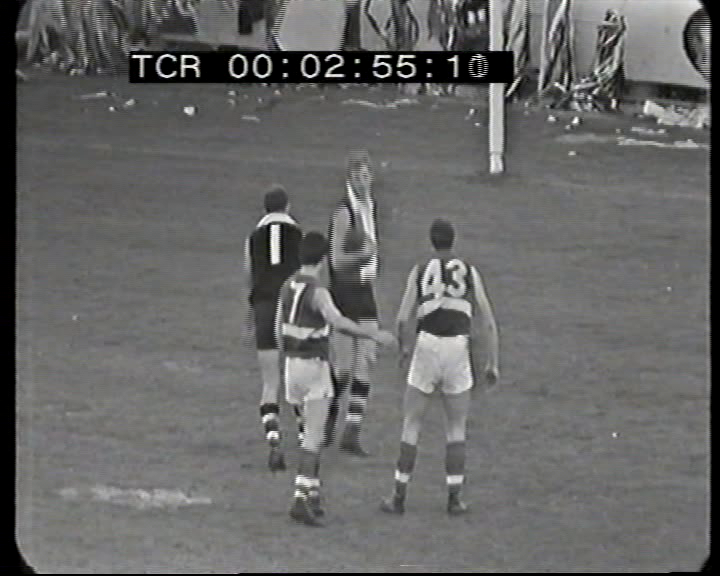 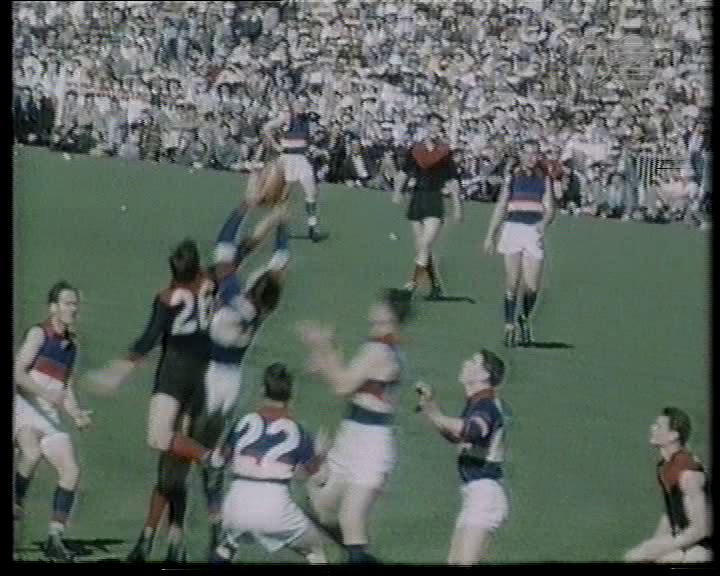 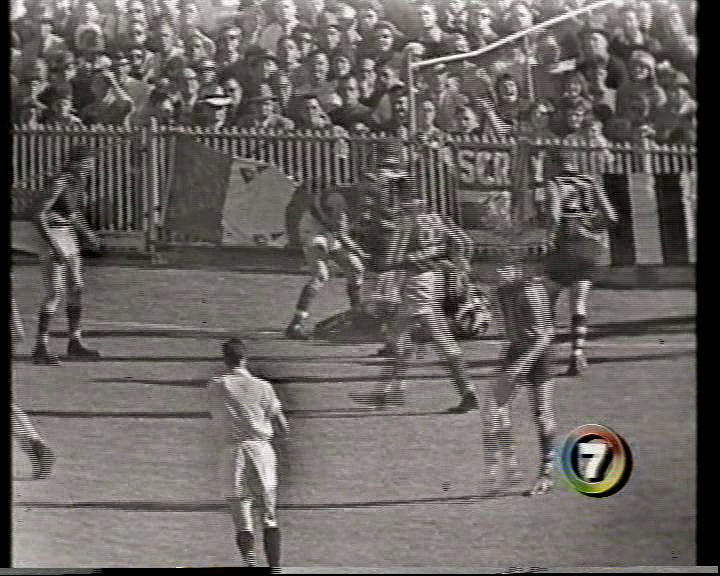 "Alan Martin handballs over to Donald – they had a beautiful combination around the half back line picked up by Johnny Kerr best on ground in 54 Grand Final -effort by that player towards Gilmore. 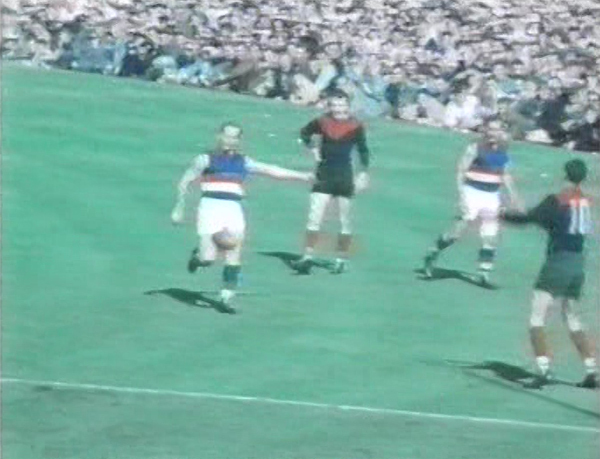 A stab pass by Gilmore a beautiful pass hits Jack Collins right on the chest." 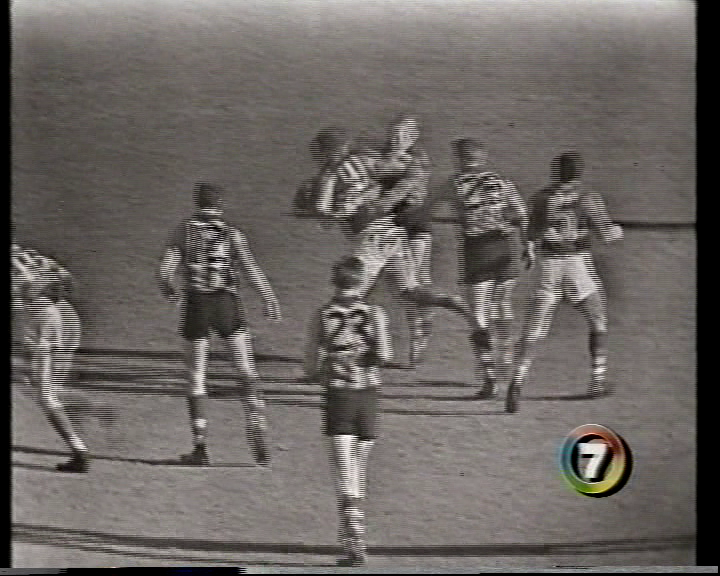 "There goes Doug Reynolds once more this is a nice piece of football you will see him take a handball back here & eventually the ball bounces back into his arms & he puts it through on his left boot, we could do anything in the last quarter"
"Well Beamish is down on the ground and I didn't hear the siren go there but the siren has gone, Mike you heard it did you?" 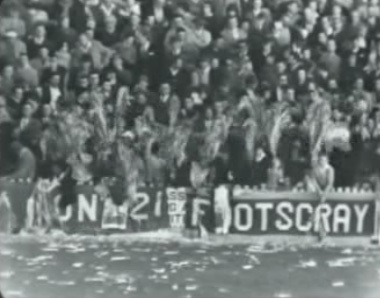 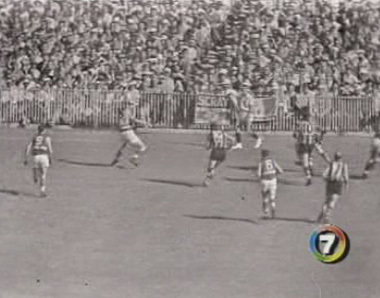 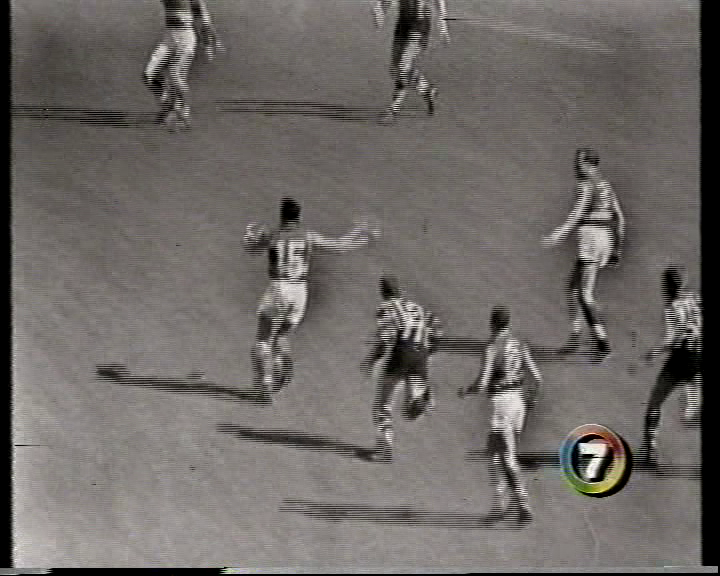 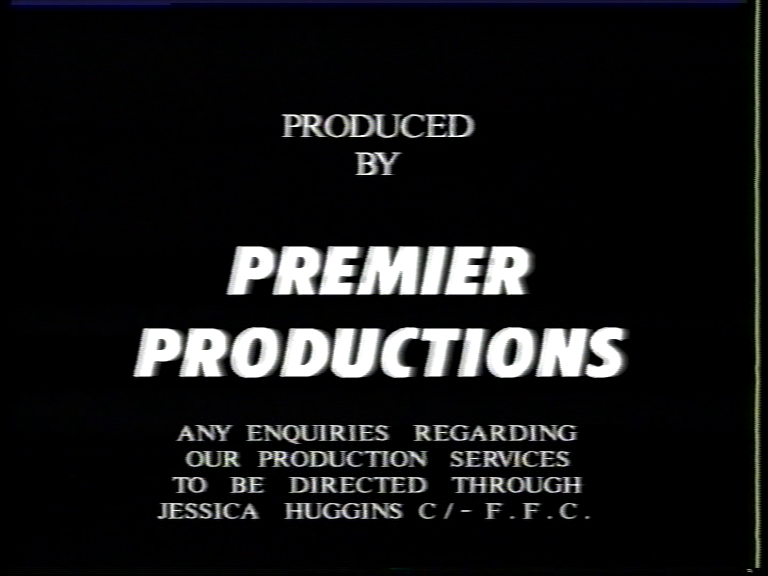 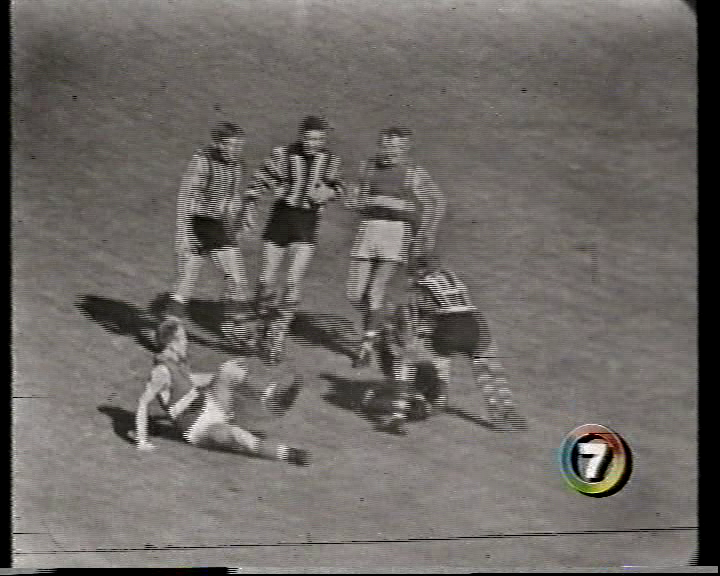 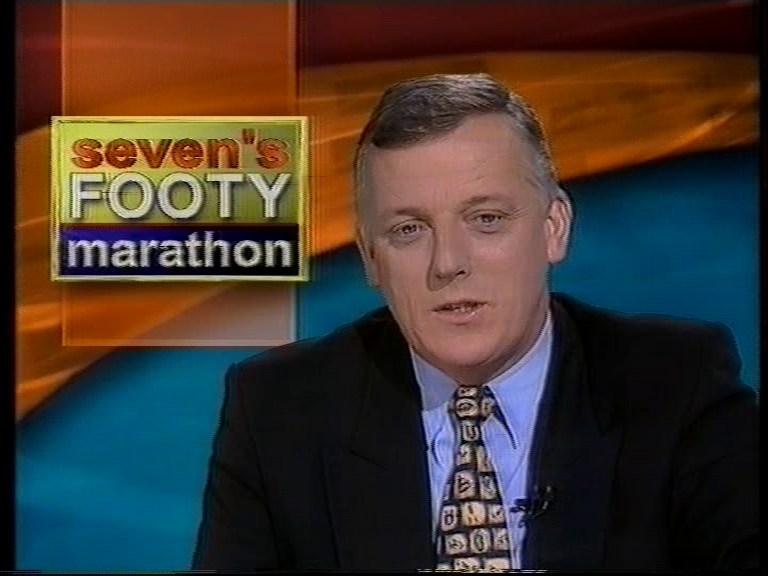 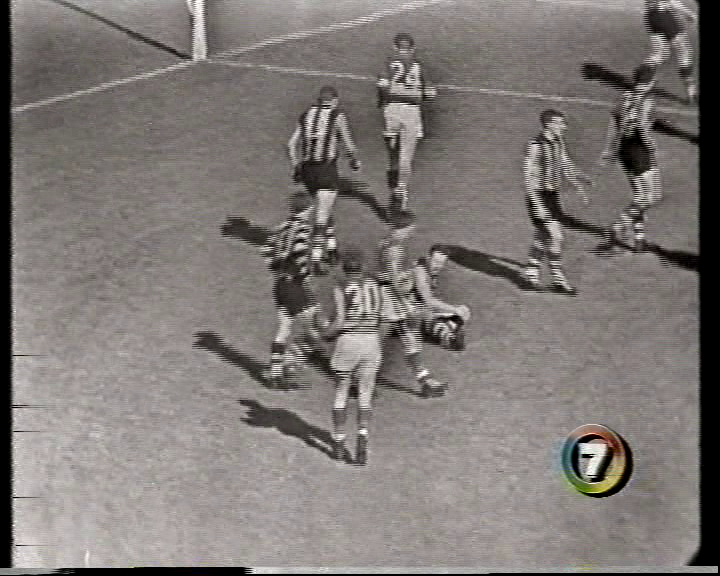 he couldn't miss it’s a goal and its Merv Hobbs third"
"Here is the kick now from Jillard to the wing position on the outer side Schultz in front takes the mark in front of Mynott."